In 2000, an 18 year-old Hana Lee fled North Korea on foot. For five years, she hid in China, and after five long, difficult years, she arrived at Kansai International Airport, located outside Osaka City. Japan and the freedom it enjoys, to say the least, surprised her. Hana Lee (a pseudonym) is currently living in Japan and attending university. She is what's known as a "dappokusha" (脱北者) or "person who has fled North Korea", and will be the first (or one of the first) to graduate from a Japanese university. In Japan, there are around 300 dappokusha living in the country. Lee's parents were Japanese-born Koreans, who moved to North Korea during the late 1970s, hoping for a better life. At first, things were good. The family lived in a house and had their own car, which was a rarity in North Korea. But then, things got bad. In the 1990s, a relative got implicated in a crime, and even Lee's family was to be banished to the countryside. In a country where food is scarce, this was the equivalent of a death sentence. The family was able to stay in the North Korean city of Sinuiju by moving between friends' houses and bribing officials. This continued until all the family's savings ran out. Lee, her mother, and her younger brother all made a run for the Chinese border, successfully crossing it and hiding in China until 2005. Lee began blogging about her experiences in North Korea and is releasing a version of it in Japan. She recounted seeing a public execution as a little girl, recalling how it disturbed her so much that she threw up. Her transition was difficult, and she hid her North Korean background from her classmates, instead saying she was from South Korea. "Early on, the first time I saw cosplay," Lee recalled with a laugh, "it was a shock." 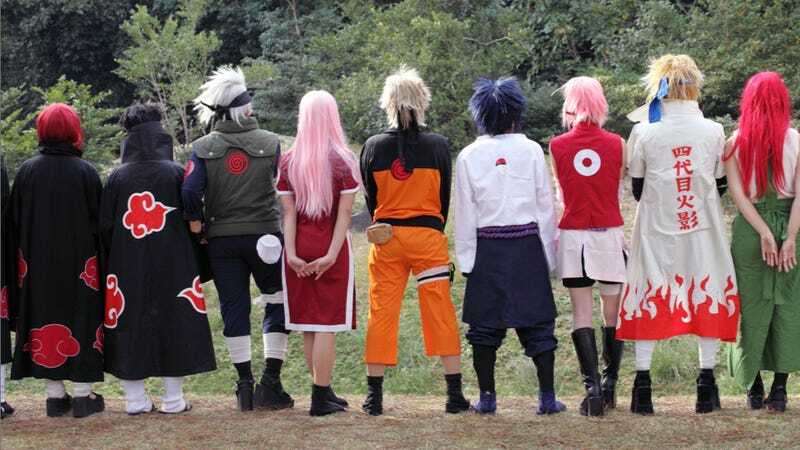 Cosplay, of course, is short for "costume play", and it is the act of dressing up as video game, anime, and movie characters. "But, a unified society will be built, even with the criticizism of politicians, the cosplay, people behaving freely and debating," said Lee. "That's a truly great thing." Lee added that a situation like this is "improbable" in North Korea; it makes her think that this was what made a democracy. What better way to express your freedom than by criticising politicians and dressing as video game characters?